If you or a loved one have been charged with robbery then it is extremely important that you retain an attorney with a proven success rate in fighting criminal charges. Jeff Dean has that success record, and he is w idely known as one of the most respected and experienced attorneys in the criminal law. Jeff has had laws ruled unconstitutional by both the district and appellate courts and he has won cases ranging from DWI and assault, to murder and manslaughter. For over 18 years Jeff has accomplished dismissals of charges, reductions of charges, and resolutions involving no jail time. 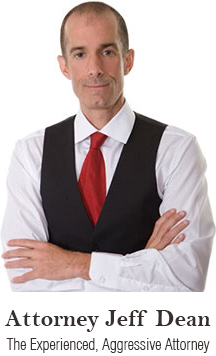 Judges and the media have recognized Jeff Dean for his numerous wins, and other lawyers frequently call Jeff for his help in evaluating their cases. Robbery Statutory Information Robbery, according to Minnesota laws, can be classified as either simple robbery or aggravated robbery. Simple Robbery An individual may be charged with simple robbery if he or she is accused of taking personal property from another or in their presence of another, and uses threat of force or actual force. Penalties for simply robbery may include up to 10 years imprisonment and/or a fine of up to $20,000. Aggravated Robbery In Minnesota, aggravated robbery falls under two classifications: Aggravated Robbery in the First Degree An individual commits aggravated robbery in the first degree if he or she commits the offense while armed with a weapon, or any article used to lead the victim to believe it is a dangerous weapon, or if the individual inflicts bodily harm on the victim while committing the offense. Penalties may include imprisonment for up to 20 years and/or a fine of up to $35,000. Aggravated Robbery in the Second Degree An individual commits aggravated robbery in the second degree if it is implied that the offender has a weapon, whether through actions or words. Penalties may include imprisonment for up to 15 years and/or a fine of up to $30,000. A robbery conviction carries serious criminal and collateral consequences. Besides any sentence imposed, a conviction would make it extremely difficult to find employment and housing, and would cause society to view you as a violent person. To protect yourself against these charges, call Jeff Dean today.